Throughout Paris, there are scores of classical choirs, often singing the same old symphonic requiems, sometimes with a bit too much shrieking from the sopranos and a bit too much booming from the basses. The Choeur Verte Folium stands apart, with an extraordinarily loyal following of some 40 choristers. They come together on a more intimate basis, focusing each week on the subtle musical nuances of original texts and varied melodies. 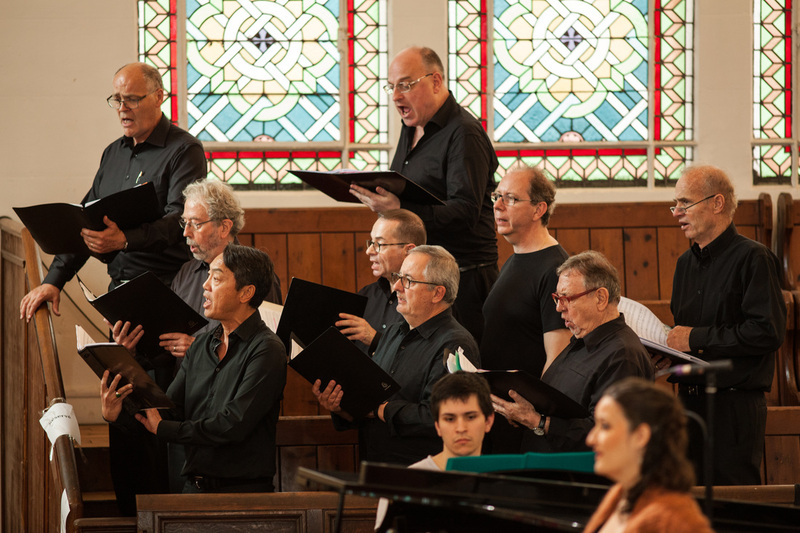 From Beethoven to Boulanger, Donizetti to Dvorak, Meyerbeer to Mozart, and even from a Schubert hymn to a Verdi opera, the repertoire constantly expands their concept of classical choral singing. If you have had some previous singing experience, come join them, most especially if you can sing tenor, baritone or bass. They are trained, and indeed inspired, by a stellar, yet simpatico team of professional musicians who have a profound understanding of the power, as well as the delicacy, of the repertoire. While each rehearsal session is treated very seriously, there is still a sense of camaraderie--all in the interest of collectively sharing some moments of singular beauty and sublime pleasure. While attracting surprisingly approachable and amicable Parisians, the chorus is international, with five different nationalities amongst its ranks. If you would like to hear what draws some of the expatriates to this chorus, then feel free to contact David, the Scottish tenor (phone 06.07.87.12.36 or email davidaleitch135ATgmail.com) or Joan, the Dutch bass (phone +31.13.40.19.92.75 or email vanalbadaATgmail.com). You won't regret it ("tu ne regrettes rien")! 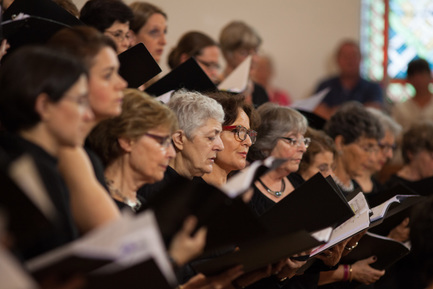 The choir Verte Folium, established in 2006, brings together some forty people who like to sing classical choral music in its original language (see the page répertoire) under the leadership of its conductor Emmanuelle Drouhard and of Clément Darlu as pianist. The working language of the choir is French, but anyone with a good singing voice is welcome. Currently 4 other nationalities apart from French are represented. All voices, especially tenor and bass, are welcome - earlier singing experience is required. If accepted into the choir after a trial period, all choristers are asked to give a commitment of preferably two years. Although the schedule of rehearsals is based on the French school year, starting in early September, a start as late as November would be possible. Concerts are usually given in the second half of June, the 2019 concerts on June 15 and 21. The choir practices on Thursday evenings, 20:00-22:30, rehearsal year 2018-19 starting on September 6, and one Saturday a month (10:00-13:00 and 14:30-17:00). Each practice usually begins with 60 minutes of vocal technique by Marie Soubestre or Marina Ruiz, professional singers. Location: Collège Courteline, 44 avenue du Dr. Arnold Netter, Paris 12. For further information, please contact in English or French vertefoliumAThotmail.fr or complete, in English or French, the form under contact.